The term ‘hidden gem’ gets used so often it kind of loses its meaning after awhile. But as cliche as it sounds, there really are countless little spots in Los Angeles that offer unique experiences to be had. Essentially, if you think you’ve seen all Los Angeles to offer, think again. Although we cover many of these types of spots in our blog, there’s always more to uncover and explore. That said, below are 10 MORE little gems we haven’t discussed too often on the website, but definitely need to be on your radar. From hiking trails to tiny gardens to historic neighborhoods, these spots may not garner tons of touristy headlines but they do provide plenty of beauty, atmosphere, and history that’ll make it worth your while to check out at least once. Our goal, as always, is that the list will spark some motivation for exploration. Most people think you have to go down to Laguna or San Diego to see tide pools but there are some closer to home than you think. 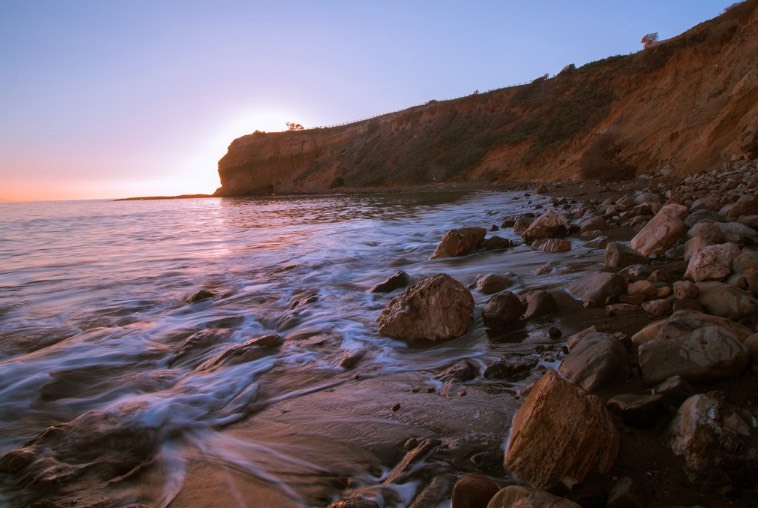 Hidden in the South Bay below the bluffs and hills of Rancho Palos Verdes, where multimillion-dollar ocean view homes exist, lays a tiny treasure chest of the sea. During low tide, Abalone Cove Tide Pools reveals a curious glimpse into local ocean life, which includes gems like sea stars, sea anemones and sea sponges among other things. In Beverly Hills you can tour the grounds and gardens of the first mansion to break break ground and develop Beverly Hills as we know it today. The Virginia Robinson mansion hosted lavish parties in the past but is now a historical landmark and cultural jewel that takes visitors back in time to the birthplace of Beverly Hills. Today the grounds are open to the public by scheduled appointments only, where the exotic gardens showcase a time that once was. Did you know there is a hidden one acre rooftop garden at the Walt Disney Concert Hall in Downtown Los Angeles? The garden is surrounded by the curves and and exterior of the hall and decked out with lush landscape centered around an intricate mosaic blue rose fountain dedicated to the late Lillian Disney (Walt Disney’s wife). This museum isn’t your regular old history book kind of place, it has a neat twist. Located in the city of El Segundo, The Automobile Driving Museum is probably one of the only museums around that preserves and educates guests about culturally historically vehicles AND allows you the opportunity to ride one of the museums historical collectors vehicles. Not the only does the museum have a collection of over 130 vintage, antique, and muscle cars; but it’s also the only museum that takes you for a ride in them. Sunday stroll down PCH anyone? This majestically beautiful Japanese garden located on the rooftop of the Doubletree by Hilton in Downtown Los Angeles offers an amazing view of DTLA. This oasis located in the middle of the city is the perfect mini getaway to lose yourself within the lush greenery, serene waterfalls and ponds of the garden while still being in the city. 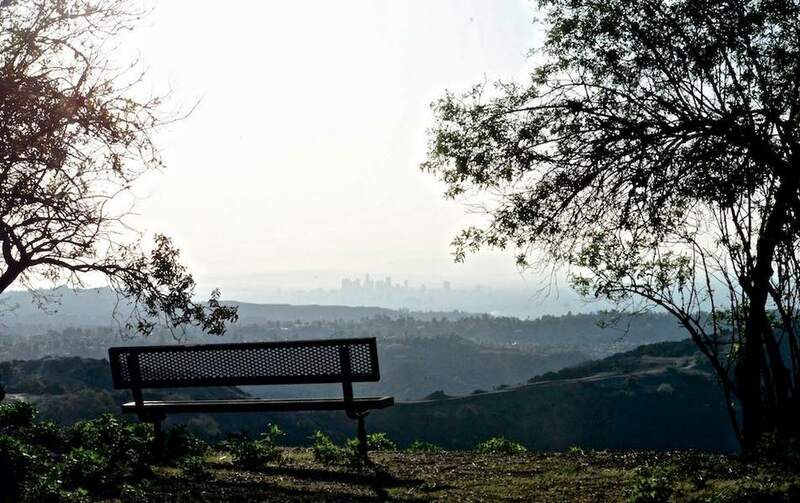 Looking for an alternative to the over-hyped Runyon Canyon trail for outdoor activity? The San Vicente Mountain Park is located at the top of the Santa Monica Mountains on Mulholland Drive over the congested 405. This scenic park with 360-degree views is a former missile launch site complete with a radar tower. The park is perfect for watching the sunset and catching a glimpse into U.S. Military history. One of the few remaining neighborhoods in the City of Angels still intact from the Victorian era, Carroll Avenue in Angelino Heights near Echo Park is home to one of the first suburbs in Los Angeles. It’s a very picturesque neighborhood that’s played as a backdrop in many Hollywood productions through time. 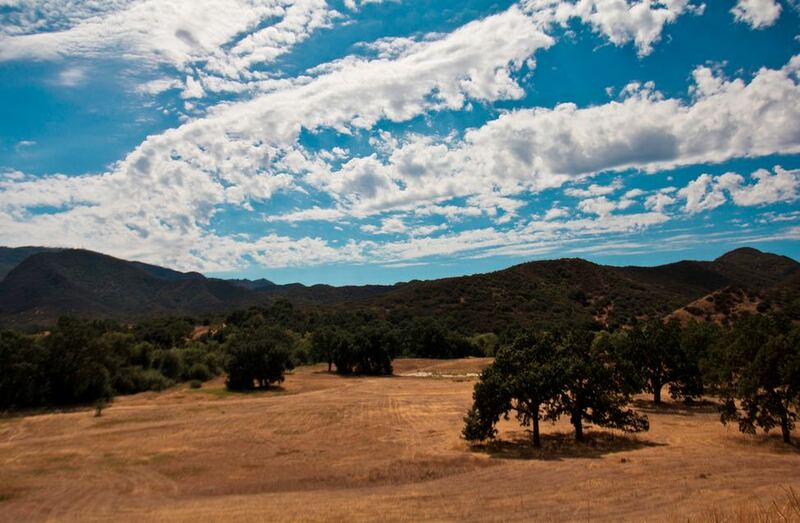 This national park tucked away in the Santa Monica Mountains near Agoura Hills offers a variety of scenic hiking trails and an old Western set you may have spotted in various Western flicks and television shows. Plenty of parking, and it’s free! The Spadena House also known as The Witch’s House is a storybook house located in Beverly Hills. The very detailed in design house right out of a book is a landmark location for tourists and, like Paramount Ranch, has its fair share of movie appearances. What are you favorite little spots around Los Angeles that you don’t think many people know about? Let us know in the comments below!